Akathisia: Life In Motion -- David Rosendahl | Posts about the intersection of faith, entrepreneurship, and fatherhood. Is Airbnb a good alternative for business travel? After searching for hotels near the Dreamforce event and finding them quite expensive, Moe and I decided to search for an available location on Airbnb. It was our first experience using the service. In case you’re not familiar with it, Airbnb was started in 2008, and is a community marketplace where you can book spaces from people who have rooms or houses to spare. There are places available in 34,000 cities in 192 countries. Pretty amazing! Moe ended up finding a nice place about 30 minutes from the convention center. 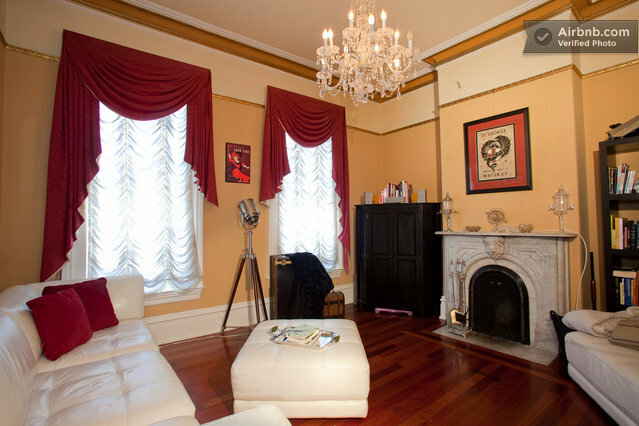 Described as a “Lovely Historic Italianate House, ” we had a bedroom, family room, and bathroom to use for $99 p/night. You can see it here along with more pictures. We entered through a door with a security code, and basically lived in the house with the owners for the 3 nights of our trip. Our hosts were very kind and friendly. I ended up getting a stomach bug the first night of our trip, and the lady of the house happened to be an ER nurse. She was very kind in helping me feel better, which obviously isn’t part of the Airbnb service, but goes a long way in establishing the value of the brand (at least in my mind). After this experience, I think we’ll definitely consider using Airbnb for certain business trips as opposed to the traditional hotel. It may save money and help make new friends. What else? What are your thoughts on using Airbnb as opposed to hotels for business travel? 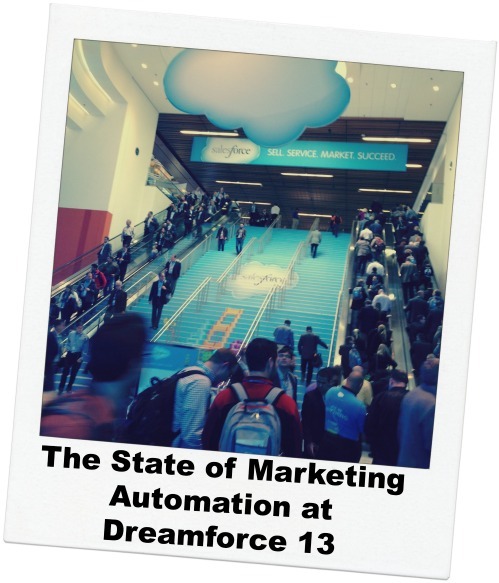 One reason I spent time at last week’s Dreamforce was to gather insight around the state of marketing automation. At MindFire, we’re refining our product/market fit, so it is of particular interest to see how others are positioning themselves, and how the market is responding to the recent acquisitions and IPOs. Attending the show were Marketo, Pardot (as a part of Salesforce and ExactTarget), Act-on, and Silverpop. Hubspot and Eloqua did not exhibit. After ExactTarget acquired Pardot, the directive was to integrate Pardot into the Marketing Hub. Some of this integration is evident directly within Marketing Hub. Over time, Pardot will become a more seamless part of Salesforce, with a focus on B2B marketers who need to nurture and score leads. ExactTarget, as the Marketing Cloud, is pushing the concept of a single view of the customer, to which a variety of media can be used to communicate, including web, email, social, and products (like your car). 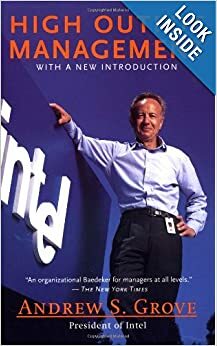 Someone I spoke to at ExactTarget told me that the sole purpose behind the acquisition of Pardot was to get the analysts off their back with regards to lead nurturing and scoring. $95.5 million seems like a lot to pay for lead nurturing and scoring! While some of Pardot’s functionality and ExactTarget’s “Journey Builder” seem similar, the official line is that Pardot is focused on lead nurturing and scoring in the B2B realm, while Journey Builder is targeted at B2C use-cases where communicating with existing customers is the goal (although it works in B2B acquisition campaigns as well). The ExactTarget product does not do scoring, although it doesn’t seem a far stretch that they would incorporate it. It was interesting that very few of the ExactTarget reps could speak to the cost of the Marketing Cloud. The closest I could get to an answer was $5-$10k for the social aspect (Buddy Media and Radian6). In listening to folks at the Act-on and Pardot booths speak about their products, it was interesting to hear how few claimed to know much about their competition. It was refreshing to hear their honesty (“You know, I really don’t know too much about Hubspot …“), but I was surprised that there wasn’t more organizational awareness of how to exploit their competition’s strengths and weaknesses. With respect to the marketing automation space, what else stands out? 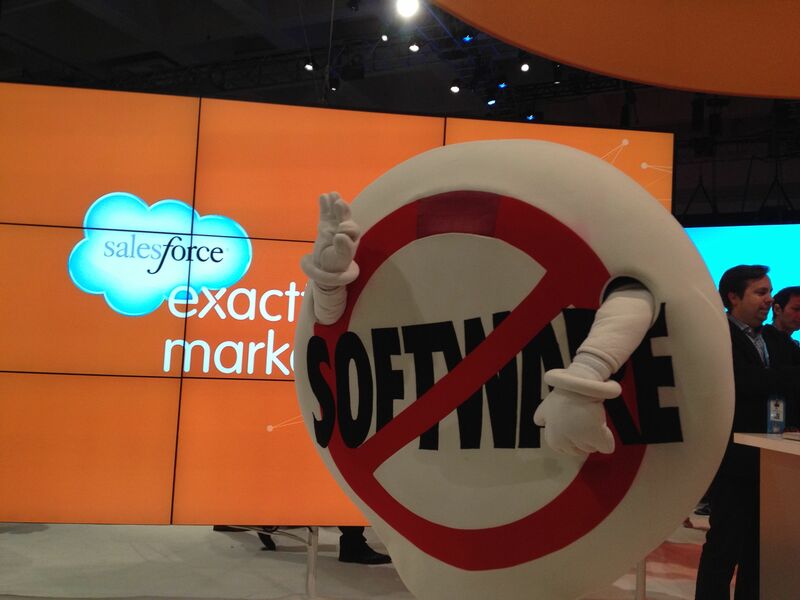 If you attended Dreamforce, what did you notice?